What Is myvitamins Baby On Board? myvitamins Baby On Board is a special blend of 17 essential vitamins for mums-to-be and their growing babies. Why Use A Multivitamin During Pregnancy? Getting the right nutrients is even more important during pregnancy. They need to take care not just of your body, but of your baby’s. To make things even more complicated, your nutritional needs can alter while pregnant. With a complete blend of over 17 essential vitamins and minerals, we’ve made it simple with our Baby On Board capsules. What Works Well With Baby On Board? If you find that your appetite is fluctuating while pregnant, take a little extra care to look after your digestive system. Our natural blend of healthy bacteria in Go With Your Gut is just the thing. Baby On Board capsules are a simple addition to your routine. Just take one tablet a day. I'm so glad i found this product! Thank you My Vitamins. My energy levels are high and i feel great. I can now sleep well at night knowing that my baby is getting all the nutrients she needs! Definitely a product to buy if you're pregnant. After having so many problems with conceiving, I was so happy to find out i was pregnant 8 weeks ago! Ever since i found out i was expecting, i knew i needed to find an amazing quality supplement to ensure me and my baby would be of optimum health! I'm so glad i stumbled along myvitamins and "Baby on Board" as my energy levels are now so much higher and i can sleep well knowing my baby is getting all the nutrients he/she needs! I've been taking Baby On Board since I first started trying for a baby. I'm now 12 weeks pregnant and feel great! My energy levels are high and I feel full of life. 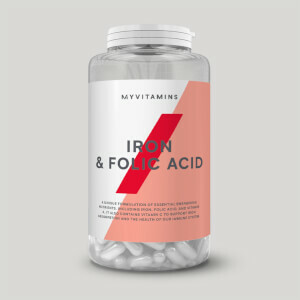 It's reassuring to know that my baby is being looked after too with the help of folic acid and that the Vitamin C is keeping my immune system in tack! Great value for money, would recommend to anyone who is pregnant/try for a baby.